I have to agree on your insights and am excited to see not only what the June release brings for cognitive learning but where future releases will take that. Core is also a product that as a company we’re pretty excited about and the doors that will open. I think the conference was buzzing this year and have every reason to feel excited about the future of the product. Hey Rob – good to catch up again. I agree – for me the single biggest announcement was the much more sensible approach on QlikView to Qlik Sense licensing migration. Our clients are almost all enterprise with significant investments in QlikView, and this one move immediately removes the “new purchasing decision” aspect of a Qlik Sense migration. Qlik’s technology is marching on full steam ahead, but the licensing so often falls waaaay behind. The inside scoop is Mike Capone was in a high-level meeting on one of his first days on the job and when the current model was explained to him he simply swept it aside proclaiming how ridiculous that was! 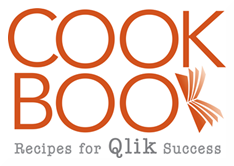 Of 48,000 customers, 36,000 are QlikView customers. Of those, 32,000 are still on QV11.2! So it is wonderful to see announcements that encourage a migration to QS rather than making staying on QV punitive. I wonder how you did. At least there is not much behind of what we have seen related to the Qlik products so far. And, it was no deeper explanation. So, I would agree if Qlik would tell us more details about what algorithms they already have integrated (no AI/ML I can see here so far, just basic stats) or will be implement into the product and how this will work, or will help, and how (!) we can control it.. Admittedly short on details at this point. I look forward to seeing more details and getting my hands on it. And, Rob please elaborate a bit more where you see a relation between Qlik Core and the Big Data Index. Ralf, I did not attend any of the detail sessions on BDI — I believe you did and may have more specifics to add. I see Qlik Core as a packaging of the micro services architecture and it’s that architecture that can enable distributed processing. So perhaps not “Qlik Core the product” as a component of BDI, but the design pattern that has enabled Qlik Core. Hi , can you elaborate , “QlikView customers can user same licences for QlikSens”. You mean if, a customer have 5 named cal and 10 doc cals, will they transfer into QlikSense with 5 professional and 10 analyzer licences? I’m not sure exactly what the details of the single license entitlement will be. Details were not provided at Qonnections to my knowledge. 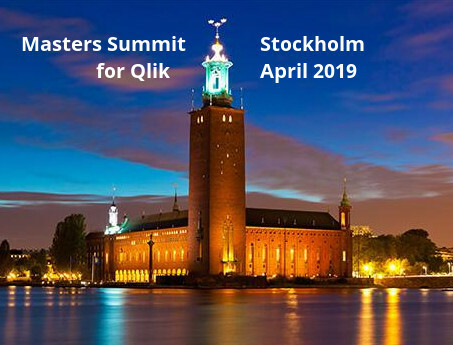 Stay tuned for more announcements from Qlik as I’m sure there will be lots of interest. I wasn’t there to hear the comments, but I’m quite curious what they were to instill this confidence. 90% of the content posted by Qlik employees on the QlikCommunity website is aimed at QlikSense, as is the entire landing page. QlikSense gets monthly content releases while QlikView gets one per year and most of that is technical aspects and not features. Simple, low-hanging QlikView fruit such as a much-needed visual facelift or the recently-fixed-at-long-last xlsx export often goes ignored for years. Qlik seems content to release virtually no new charting capabilities for QlikView, requiring the use of external content. Based on the above, it’s hard for me to say Qlik is deviating from its one-product track, while they do the bare minimum to keep QlikView customers using QlikView (or migrating to QlikSense). I do believe they will continue to keep QlikView on the back burner and give it at least a modicum of effort, at least as long as more than half the customer base is using QlikView – but as made evident by the joint-licensing aspect, they’re clearly pushing very hard in that direction (assuming the “small uptick” is actually small, and not ~50% as originally floated).